An appropriate statement, for the Township of Mount Olive Fire Prevention Bureau, which is located at 204 Flanders-Drakestown Road, and includes Flanders Fire Company No. 1 & Rescue and Budd Lake Fire Company No. 1, is always ready when called upon. The Flanders Fire Department was established in 1923, and Budd Lake followed in 1929. Flanders celebrated a 95th anniversary in 2018, and Budd Lake turns 90 in 2019. Both departments also celebrated in 2018 the 85th anniversary of the Mount Olive Township Committee passing an ordinance, officially establishing on May 8, 1933 the Mount Olive Township Fire Department, with both the Budd Lake and Flanders departments under one umbrella. 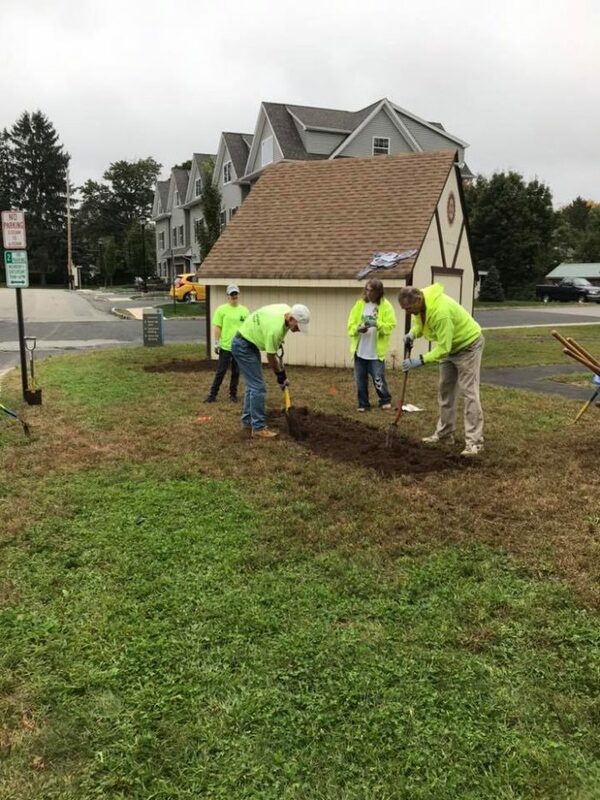 This is the story of a Fire Prevention Bureau, the fascinating histories in brief of both departments, and their continued dedication to the Mount Olive community and beyond. Flanders Fire Company No. 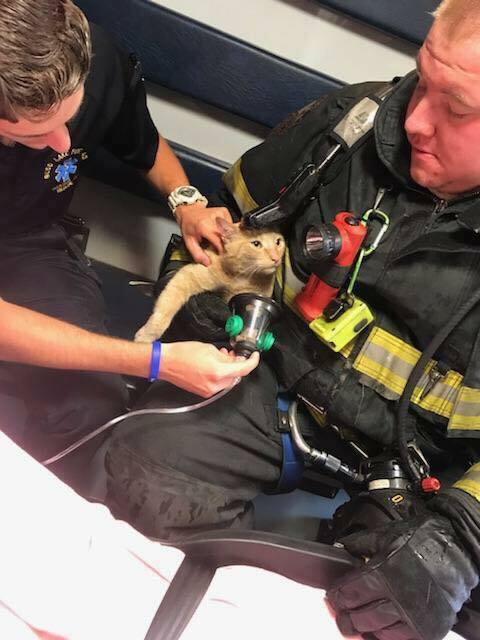 1 & Rescue was founded first. From the Flanders Fire Company No. 1 and Rescue website: The Flanders Fire Company No. 1 has the responsibility to respond to fire and EMS emergencies within Mt. Olive Township, Flanders and the surrounding communities. 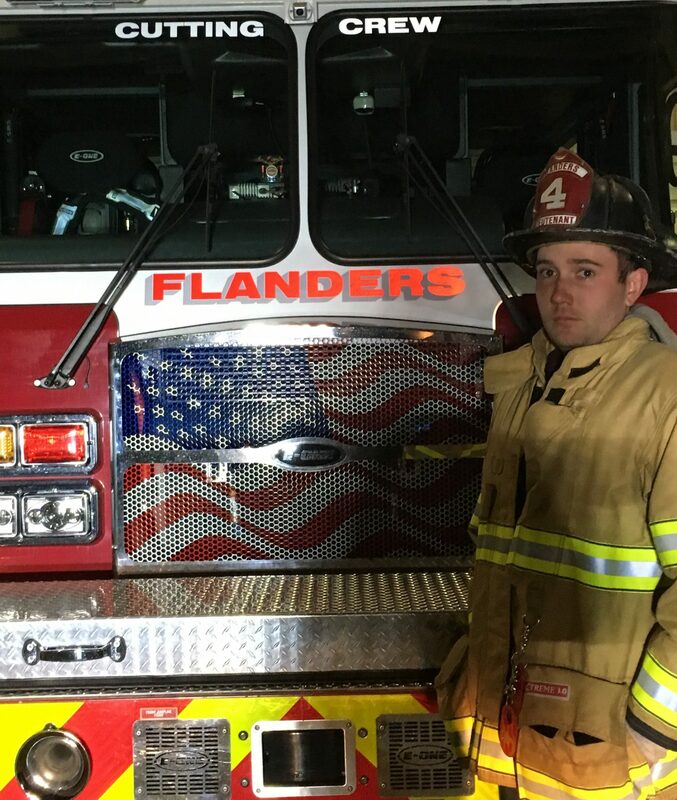 The Company has the duty to maintain all the emergency vehicles and all the equipment used to protect the lives, the property of Flanders residents, those passing through as well as those who live in surrounding towns. 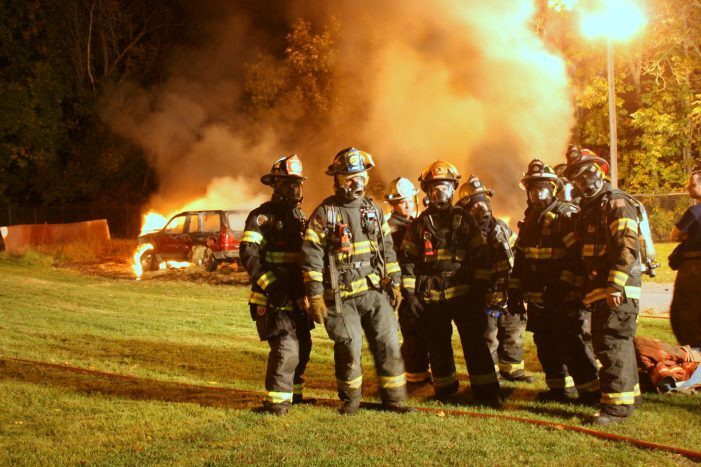 The Fire Company is also responsible for attaining the best possible equipment and the continuous training of our volunteer members– both for their safety and the safety of all whom we protect. Treasurer. 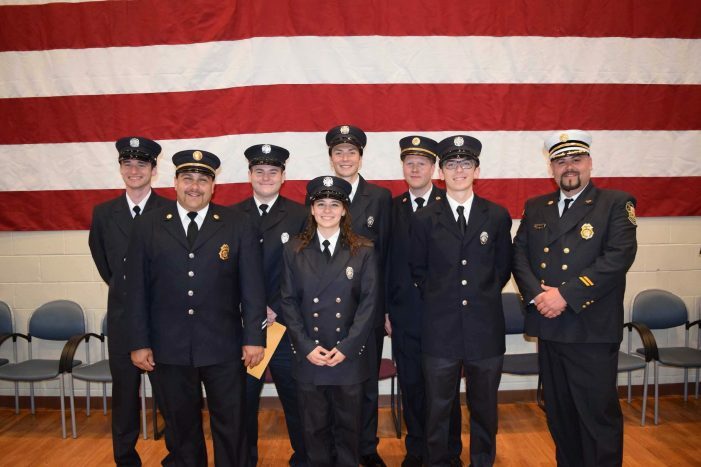 In 1940, a new rescue squad joined forces with the fire company in order to serve the residents of Flanders, furthering service to the township. As of 1942, Flanders Fire Company #1 operated two engines and a rescue truck, and in 1950 the Rescue Squad was added to the company’s name. Randolph Township shortly thereafter donated an ambulance, which in 1951 was replaced by a 1949 Studebaker, which was then replaced by a Cadillac in 1958. As time progressed, methods of fighting fires improved aided by technology. In the early 2000s, an addition housed a 2003 E-One 95′ Tower, as well as include offices and lockers for storage and management. Sadly, in 2011, Assistant Chief Thomas Shields suddenly passed after a mid-day call. A memorial plaque is placed between the bay doors of Engine 95 and Tower 96. 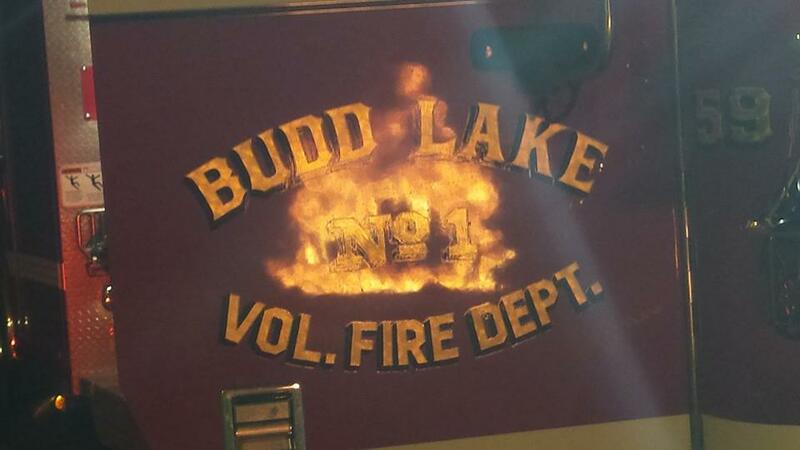 Budd Lake Fire Co. # 1 has a fine history as well. In 1929, a discussion over coffee at Tichners Store on Route 46 centered on creating a Budd Lake Fire Department. Edward Brown acquired a Model T Ford, and he and Ray E. DeGraw fashioned it into Budd Lake Fire Department’s initial fire truck. Department meetings were held in the basement of Mockler’s Tavern on Route 46. A Baby Grand Chevrolet was purchased and delivered from North Carolina, and it was used as a chemical truck. In July 1931 the Fire Department was reorganized, and elected to office were President Robert Fennimore, Vice President John Kelley, Secretary Roscoe Reimel, and Treasure William Moekler. Incorporation papers were secured under the name Budd Lake Vol. Fire Company No. 1 of Mt. Olive Township. Charter members were Andrew A. Brown, Edward Moelker, Roscoe Reimel, John Hunt, Robert Fennimore, T.J. Romer, Edward Trinner Sr., George Todd Sr., Charles Garneau, Frank Stephany, Robert Wittenberg, John B. Freudenberger, Ray E. DeGraw, Fred Klenke, Lois P. Petrie, Dallas Batson, Leonard D. Sylvester and John Kelley. On May 8, 1933, the Township Committee passed its Ordinance, naming both the Flanders and Budd Lake departments as the Mount Olive Township Fire Departments. In 1934, the fire department joined both the Police Department and Post Office, moving into the township municipal building. In 1935 the Township Committee bought the Fire Department their first pumper, a 1935 Ford with a 500 gpm Barton Centrifugal pump v-40 mounted in front of the truck. In 1941, the Township purchased the old Municipal Building, and the Budd Lake Fire Department was housed there until 1968, when the present firehouse on Route 46 became their new home. A second fire truck (a 1946 International) was purchased in 1946, and in 1956 the Fire Department held its 25th Anniversary. In 1968, construction on the Route 46 firehouse was completed, and in 1972 an addition to the firehouse was completed. In 1981, the Budd Lake Fire Company No. 1 had a grand 50th Anniversary party, and a huge parade, which included 119 fire companies, 74 rescue squads, 259 pieces of apparatus, and 23 bands. In 1987, added to the firehouse were two more engine bays, a radio room, Chief’s Office, engineers’ work room, a storage room, and a conference room, and in 1994 a picnic pavilion was built in the rear. respectively. Detoro started out as a volunteer firefighter and fire Chief. He eventually became a Fire Marshall, which includes investigations, inspections, and sub-coding for new buildings. The Mount Olive Township Office of the Fire Marshal was established in 1972. 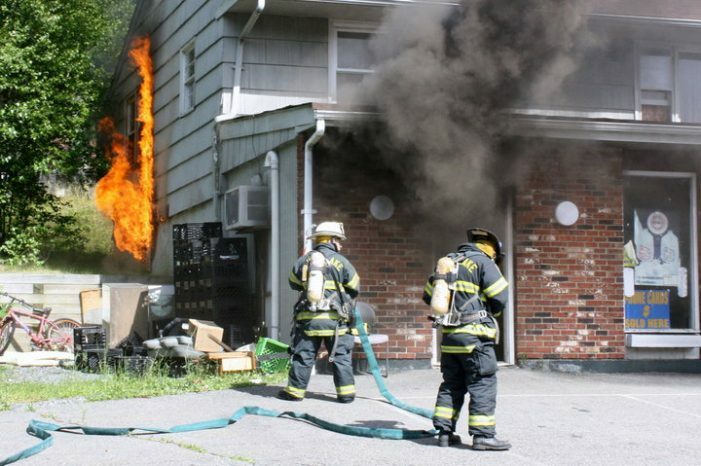 The primary responsibility of the Fire Marshal’s Office is the enforcement of the New Jersey Uniform Fire Code and other local fire safety regulations. Major activities within the scope of this office include Inspections of Life Hazard Uses, Inspections of Non-Life Hazard Uses (except owner-occupied one- and two-family dwellings), Fire Safety Complaints, Fire Permit Control, Fire Lane Enforcement, Smoke detector / Carbon monoxide / Fire extinguisher compliance for the resale of residential properties, and Fire investigations to determine origin and cause. 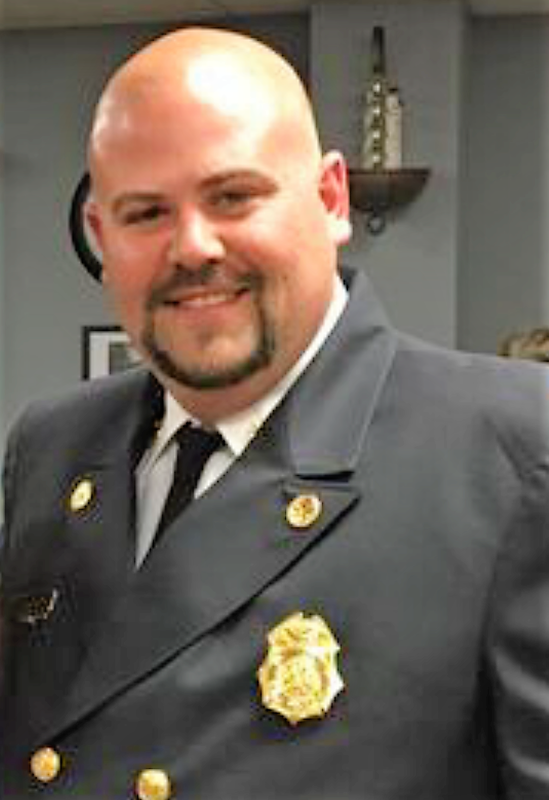 Dorlon has been a Budd Lake Fire Department Chief Officer since 2011, and 2019 marks his second year as department Chief. 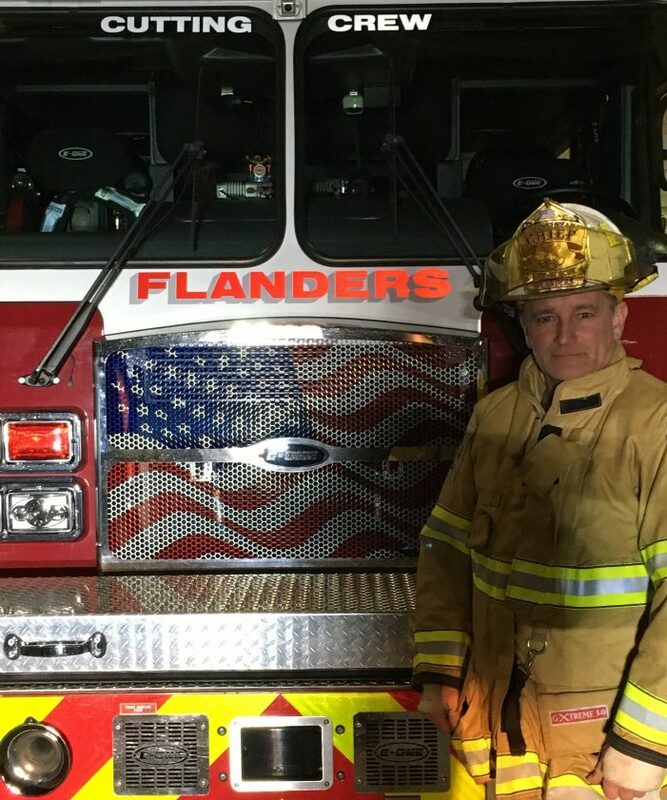 “I joined the department back in 1999 and came up the ranks starting in 2005 when I became a Lieutenant, moving then up to Captain for a couple of years, and then becoming Assistant Chief in 2011.” Dorlon’s day job is selling public safety equipment in northern New Jersey for Firefighter One. His team in Budd Lake includes First Assistant Chief Kevin Maloney. Currently employed at the Mount Olive Board of Education as a Custodial Supervisor for Mount Olive High School, he joined the fire department in 1991 and has held the ranks of Lieutenant for 8 years, Captain for 1 year and Assistant Chief for 9 years and Chief of Department for 6 years. “I graduated from Firefighter 1, 2 & 3 as well as many other fire service training courses.” Joseph Compano began as a volunteer firefighter at the age of 18 in 1987 with Roxbury Fire Co. # 3. He was a member with Roxbury for 14 years where he held the position of Past Captain. He then joined the Budd Lake Fire Department in September 2001 and has been a dedicated member for the past 18 years. 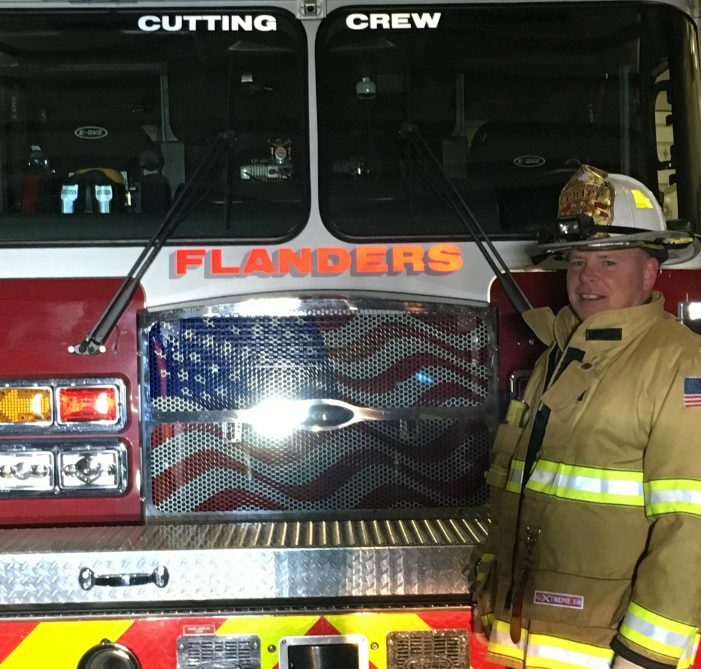 He has held numerous positions with the Budd Lake Fire Department, including Engineer, 2 years as Vice President, 6 years (2 terms) as President, Lieutenant, Captain and is currently serving his second year as Second Assistant Chief. He has completed Firefighter 1 and 2 Training, Vehicle Extrication and Incident Command Training. Captain Robert Sheard is a 40-year Budd Lake Fire Department veteran and has held the rank of Chief 5 times. He has served in every fire line officer position for 31 of the 40 years, and also served as Treasurer, and Recording Secretary for the department. 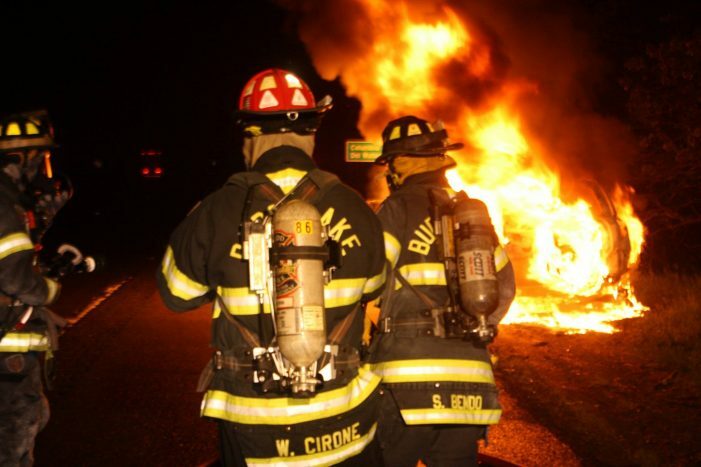 He is a New Jersey State Certified Fire Officer, Level 2 Fire Instructor, Level 2 Firefighter. “I have served on the Mount Olive Township Office of Emergency Management and currently hold the position as secretary for the Morris County Alliance of Active Fire Chiefs, as well as being Past President.” Sheard has been employed with Rockaway Township for 29 years, currently serving as Director of Public Works and Fire Department, and also works part time with Jersey Girl Brewery. Nick Bernabei is First Lieutenant, and he has been a volunteer firefighter for 7 years with Stanhope and Budd Lake Fire Department. “The past 3 years I have been fortunate enough to hold the rank of Lieutenant with BLFD with an awesome team of firefighters. I am employed with the Township of Mount Olive Department of Public Works. 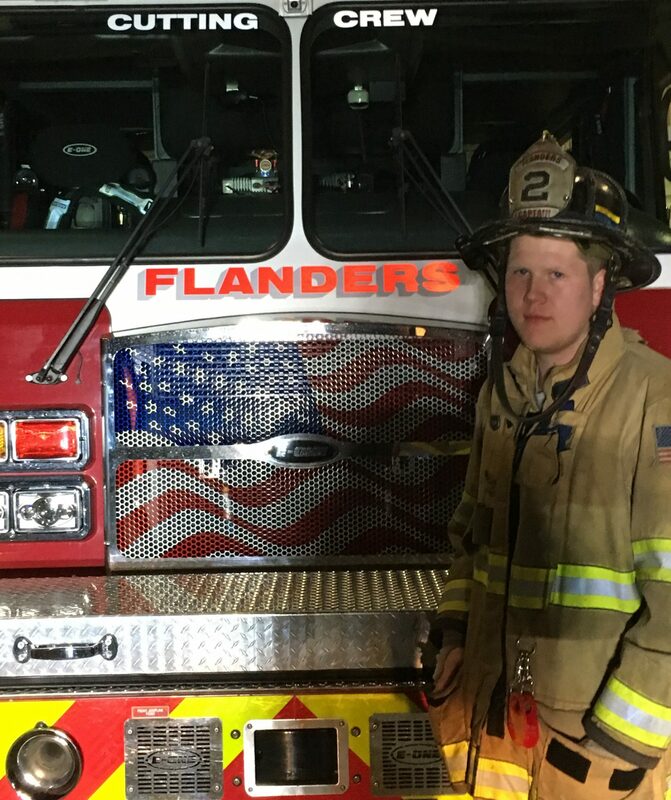 A volunteer firefighter is time consuming when you have a job and other responsibilities, but it makes me and the whole department happy when we help out our community when needed.” Second Lieutenant, Arthur Herring, joined Budd Lake Fire Company No. 1 in September 2017, but has also served previously with Boonton Fire Department and Montville Fire Department. He is a Drew University Department of Public Safety Patrol Officer. Mount Olive is a key location in Morris County, which Routes 46, 206, and 80 enveloping the area, 183 running nearby, and a railway running through it. “A very busy area,” says Detoro. All of the fire departments have mutual aid agreements throughout the county and any nearby areas. Budd Lake and Flanders both have mutual aid agreements, sending them to Chester, Roxbury, Netcong, and even outside the county, if needed. Budd Lake itself covers approximately 23 square miles of Mount Olive Township and borders other towns such as Hackettstown, Allamuchy and Byram Townships, Stanhope, Netcong and Roxbury, and Washington Township. Dorlon and Budd Lake Fire Company No. 1 sometimes travel into these areas to assist. “Flanders has a rescue, engine, tower, brush truck, three ambulances, and MCI unit with an ICE rescue unit all in one. Budd Lake has three engines, a ladder, a rescue, a tanker…we have a ton of resources, and going back to the county level, they see how integrated we are with what we have and how professional we are and how we are evolving and developing, and it goes a long way. So, we’re heavily relied on in that aspect across the board,” adds Wargo. Mount Olive has a population of 33,000 residents, and new developments are going in throughout the town. That means more people having to educate those people about fire safety via the fire department website. Both Budd Lake and Flanders are seeking new members. Candidates should stop by any firehouse, and every year the department puts out quarterly or year-end videos on all publications (Facebook, Twitter) which details specifics. Every Thursday evening at 7:00 in Flanders you can come down and fill out an application, and there is also contact information on the website. As Detoro and Wargo stated, and is echoed by Dorlon, new members are always sought. 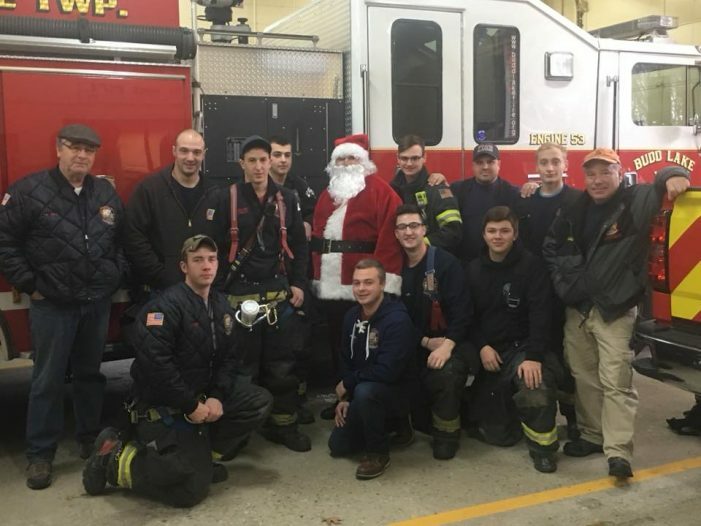 “Being a volunteer group, people come and go which is an unfortunate part, but it’s always understood that people’s lives change, and the extra time may no longer be there to help out at the fire department and their service is always respected. 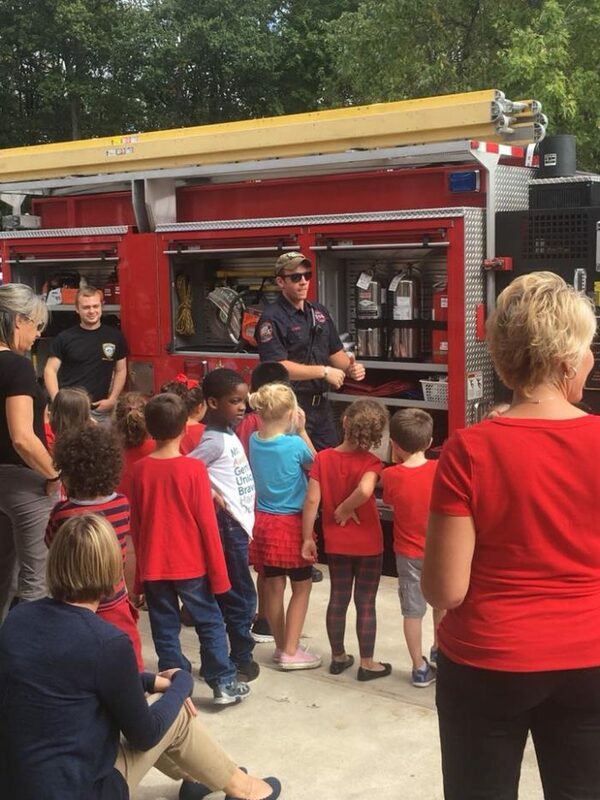 If someone is interested in joining the fire department, the best thing would be stop by the firehouse any Tuesday night between 6:00 and 9:00 and speak with an officer,” says Dorlon. “The greatest thing we give back to our community is that we provide a free service of responding to calls and saving tax payers millions of dollars a year instead of having a paid fire department in town,” says Dorlon. “Other ways we give back to the community, we always enjoy attending township functions such as the carnival for fireworks standbys and the other functions the town holds each year.” The Budd Lake Fire Department, several times a year, sends out a donation request mailer, and donations are greatly appreciated as the fire department owns the firehouse and donations help greatly in paying the bills for its upkeep. A more detailed explanation of what the Township of Mount Olive Township Fire Prevention Bureau does can be found at www.mountolivetownship.com/fire_prevention and by calling (973) 691-0900. For information on the separate fire houses, visit www.buddlakefire.org and www.flandersfire.org.